Liminal: from the Latin word limen, meaning threshold – any point or place of entering or beginning. A liminal space is the time between the ‘what was’ and the ‘next.’ It is a place of transition, waiting, and not knowing. The 18th in the celebrated Re-Draft series presents 70 great young writers of Aotearoa New Zealand on the threshold of becoming greater. This dynamic collection of stories, poems and other pieces dares to explore all manner of possible and impossible spaces. Often moving and painfully honest, often laugh-aloud funny, often mysterious but always compellingly original, these stories and poems will linger and reward re-reading. 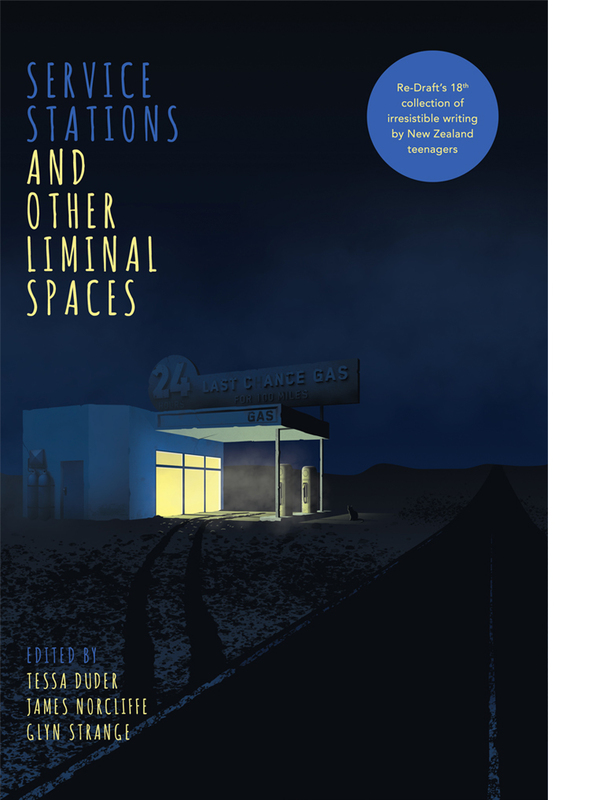 More than a snapshot of the ideas and issues exercising our next generation of writers, SERVICE STATIONS AND OTHER LIMINAL SPACES is a grand tour. Enter its threshold. It will take you to places you’ve never been before. I think it's the best one yet! My extension Year 9 group were reading the Redraft publications from the last few years last week. I particularly resonate with a fabulous little letter to 'the weekend' that was near the start of last year's book which I read out to these Year 9s on Friday last period - the sentiment was widely appreciated! The book is a wonderful anthology!